Sammie Hasen, second year BME, is passionate about medicine. She married her passion with her love of volunteering to publish a children’s book sharing the stories of children with critical illnesses such as pediatric cancer and heart conditions. The spark of inspiration for Hasen’s book was ignited by a little boy she met while eating dinner at a restaurant in 2013. Her conversation with this boy awakened her to the realities of the life-threatening or chronic conditions that so many children face. That night, she got to know his story and learned that he had stage three brain cancer. After spending the whole evening getting to know each other, the two parted ways and have not crossed paths since. 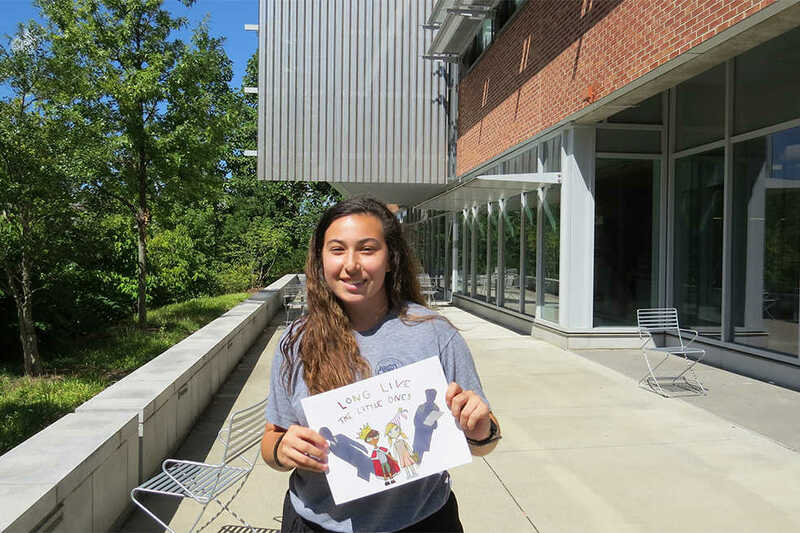 Hasen does not know anything else about the boy whose story inspired her so much, but their encounter spurred Hasen’s desire to seek out and share more stories like that of this optimistic child. She began searching for other children battling similar illnesses, so that she could hear their stories and spread them with a larger audience. In it, Hasen shares the stories of each “little one” and asks them what they want to do when they grow up. Along with these stories, the book also publishes drawings created by each child that represent their dreams. “I wanted to show the world that these kids don’t deserve pity and [they] view themselves just as regular kids,” Hasen said. The children who shared their stories proved to have the same positive outlook that so profoundly moved Hasen that night in 2013. After publishing her book, Hasen has continued to work with pediatric care at local hospitals, conducting research at Emory that benefits Enduring Hearts, a sponsor of her book. The book is also sponsored by the Ella Marie Foundation, and profits of the book go towards Enduring Hearts, the Arthritis Foundation and Lighthouse Family Retreat. Hasen is not in it for the money. It is Hasen’s dream to publish another book, and to share the dreams of others. The proceeds of “Long Live the Little Ones” are all donated to charities that work to help find a cure for the children.